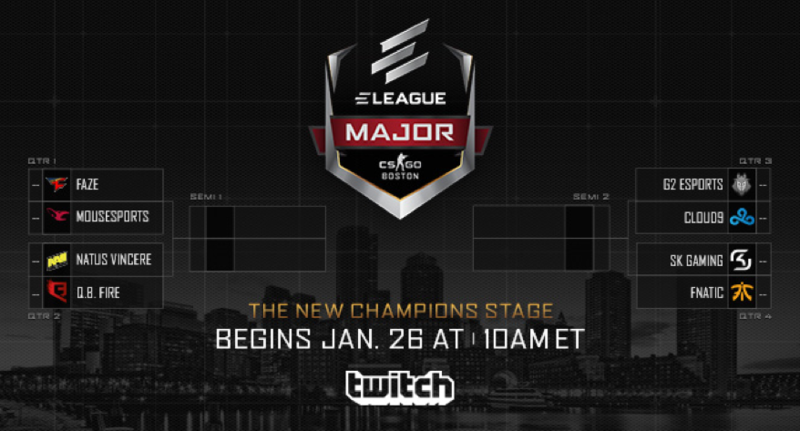 The ELEAGUE Major: Pro-Am Challenge: Two casters will serve as opposing captains, each drafting a team that will include a commentator and select professional players. The two sides will face off in a fun, lighthearted single map exhibition match. In addition,Alex ‘Goldenboy’ Mendez will serve as the in-arena emcee for The New Champions stage of the Major. Mendez, who last appeared on the ELEAGUE commentary team for The ELEAGUE Cup: Rocket League, will channel the energy of the live audience as he introduces the teams set to compete.